What is a heat pump ? A heat pump is a device used to take low temperature heat from the environment (typically from the air or ground) and transform (or "pump") it to a higher temperature, where it can be used for heating your home. Can the heat pump replace your gas or oil boiler ? In many cases, yes, a heat pump can provide all the heating and hot water you need for your home. Where hot water for washing-up etc. is needed at higher temperatures than the heat pump can achieve, an electrical heater element may be needed to top up the last few degrees. What types of heat pumps are available? Most household heat pumps use electricity as the drive energy with a small number using gas. Both electric and gas driven heat pumps use "free" energy from the environment to boost their efficiency. Although the heat pump still needs electricity to drive the unit, most of the energy used for heating your home or its hot water will come from the environmental energy. Typically for a ground source heat pump, for every unit of heat needed in the home, 75 to 80% of that unit will have come from the ground with the remainder from electricity. With air source heat pumps, around 65 to 70% of the energy will have come from the ambient air. With a well installed Viessmann heat pump. the cost of the small amount of electricity required will be considerably lower than the equivalent cost of heating your home with a gas condensing boiler. What other benefits are there from using a heat pump? With a heat pump, you don’t need to worry about a flue, oil tank and gas connections. Plus you won’t need to pay to store fuel and you will be helping the environment. Generally the heat pump is sized to meet the heat loss of your home. This means that on a cold day in winter, the heat pump should be able to heat your home comfortably. Calculating your home’s heat loss is not so straightforward and will depend to the main part on the level of insulation and glazing in your home. It is, however, well within the capabilities of a competent heating installer. It is important that this calculation is carried out accurately to ensure that the home is neither left cold in winter; nor conversely that too large a heat pump is installed costing you more than necessary for the system. In some cases, particularly for larger homes, the heat pump is sized to cover part of the heating load with a gas or oil boiler covering the shortfall. It is important that any shortfall in heating the home is never covered by an electrical heater element. 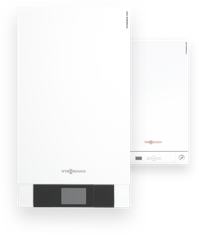 The ideal solution for environmentally responsible, low cost heating.